Vacuum pumps are an important and necessary item for many industries these days however, these devices can cause excess noise in your work area. The noise can be annoying for people who stand around this vacuum pump on a daily basis. For this reason, you should choose the best industrial vacuum sound enclosures for absorbing noise from your vacuum devices. Many Different enclosures are available on the market, you can compare their features, advantages, benefits, and many other important details from these units. Noise reduction is the main benefit that is offered by sound enclosures. When you use the best sound enclosure for protecting your vacuum unit, noise will be reduced significantly. Our enclosures are made with a high quality vinyl noise barrier, in order to deliver the best noise isolation quality for our customers. This product can be used to eliminate any unwanted noise that may comes from your vacuum unit. You should compare some available enclosures, especially if you want to look at their audio reduction quality from all available products on the market. Another good reason to consider using sound enclosures is protection of your vacuum unit . The enclosure is used to protect your vacuum unit from any scratches, damages, and any other unwanted impacts from the environment in addition to noise reduction. To take care of the investment you have made in your vacuum sound enclosure, you should choose one that is made from strong, durable material. Steel is a perfect material to provide maximum protection for your vacuum system in your working area. Many people are interested in purchasing this type of enclosure because of the many applications it can be used for in the workplace and the accessories that are available. This enclosure can be used for several accessories, including compressors, generators, hydraulic equipment, grinders, presses, industrial fans, and many other noise producing machines that are used in the workforce. You can use this product for covering all necessary products and machines on your property effectively without any issues. 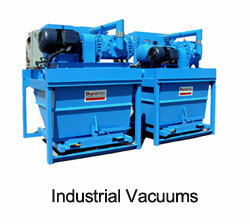 There are many other benefits of industrial vacuum sound enclosures. You product that comes with high quality materials, proper dimension size, and also durable performance. When you reduce the decibel level in your working area, you are able to improve your employee productivity and safety. Now is the time to give Pathfinder Systems a call to install an industrial vacuum sound enclosure for your business and begin enjoying all the benefits they provide.